Cyber attacks continue to be common, now carried out by “average Joe’s”. What will this mean for the protection of your identity and finances? Those are the words of Preet Bharara, the U.S. Attorney involved in the case involving a major cyber hack on JP Morgan in July 2014, among many others. Despite the media initially speculating that the hack came from Russia, it turns out the men involved were all from Israel; Gery Shalon, 31, Ziv Orenstein, 40, and Joshua Samuel Aaron, 31. The trio have been charged on 23 counts relating to the computer hacking of multiple financial institutions and financial news publishers; including the Wall Street Journal and stealing the personal data of 83 million JP Morgan customers. What’s most worrying is that the men charged are not considered to be expert computer hackers. Which makes you think: If one of the world’s largest financial institutions can be penetrated by three guys with street level equipment… what chance do these corporations have against people who are experts in the field and want to do some serious damage? In this ever-increasing digital world, the rate of expansion and advancement is so fast that by the time an organization implements a new electronic defense system, it is already obsolete. Only a few months ago we saw infidelity-dating site Ashley Madison hacked, and that was despite the site’s claims that users’ information was safe. Users of the site had their data stolen and then made public. Of course, the Ashley Madison story is of little concern to most people. But what should be of HUGE concern to all of us is that it’s clear that the organizations that we rely on and trust with our data — and that we would think are ‘hack proof’ — are anything but. Keep in mind that this is just the tip of the iceberg in the growing number of large-scale cyber attacks. Governments and corporations are going to find themselves increasingly defenseless to new types of cyber hacks as they struggle to keep up with the latest technology, much of which is virtually impossible to keep up with. Think about it, a kid under 20 years old hacked the CIA director’s emails, and a 15-year-old hacked NASA! When armed with just a laptop and an internet connection, the youth of today rival the largest institutions on the planet for power. According to Lloyd’s, the annual cost of cyber attacks to companies is $400 billion. This will continue to increase, and does not include the billions spent to purchase internet security products. With all that said, we don’t have to go around living our lives in fear. But we do have to take responsibility in limiting our risk when it comes to what we keep online or in digital form, be it personal information or our wealth. One way to limit your exposure to an electronic system that is clearly vulnerable and under increasing attack, is to keep at least some of your wealth in physical form. By converting a portion of your digital dollars into a tangible asset such as gold, you will be protected if and when the next major cyber attack hits the financial system. Last summer the stock market experienced a ‘glitch’ that also exposed the vulnerabilities of electronic systems. Read why here. 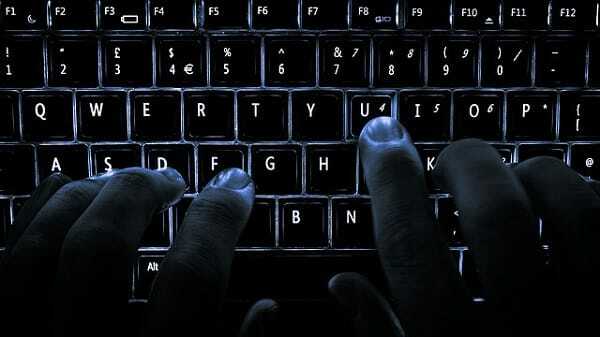 Backlit keyboard“ von © User:Colin / Wikimedia Commons. Lizenziert unter CC-BY-SA 4.0 über Wikimedia Commons.